Copper is still down 8% so far in 2018 and the bellwether metal’s dimmer prospects is nowhere more evident than on derivatives markets and the shift in positioning of large-scale derivatives speculators such as hedge funds. 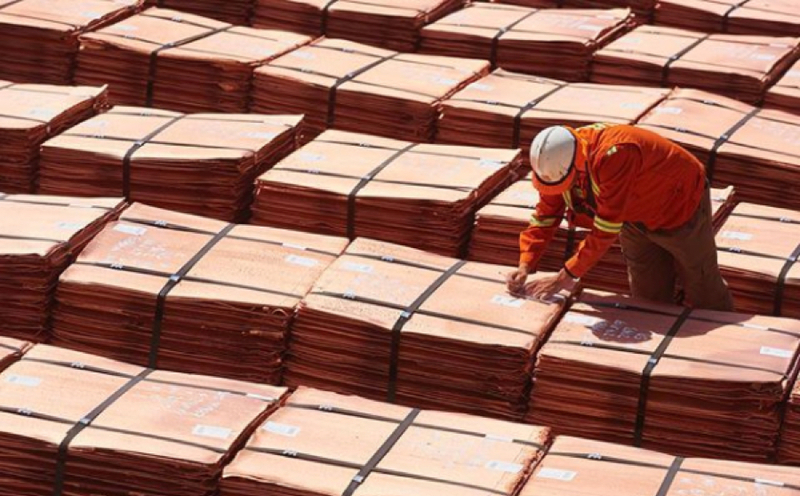 According to the CFTC’s weekly Commitment of Traders data up to March 27, so-called managed money investors have reduced net longs to just 3,724 HG copper lots, the equivalent of 93m pounds or 42,000 tonnes worth $285m at today’s prices. That’s a 3.1 billion pound or $9.7 billion decline from record bullish positions held early September last year. Chinese imports of refined copper continued its long term decline in 2018 after falling by 5.7% last year, but on the plus side concentrate shipments have stayed strong. China’s copper concentrate imports are on track to top the record levels of 2017 of 17.3m tonnes, boosted by a ban on most scrap imports. In a signal of plentiful metal on spot markets, Reuters reports China’s top copper smelters on Friday lowered their floor treatment and refining charges (TC/RCs) paid by miners for copper concentrate by 10.3% for the second quarter of 2018. In a note on Tuesday, Capital Economics points out cancelled warrants – metal waiting to leave warehouses – as a share of total inventories in global warehouses on the LME now stand at just 12.8%. Overall LME stocks have soared 90% this year to 388kt last week. Shanghai stocks have also climbed dramatically this year and while cancelled warrants constitute 55% of the metal on the exchange, that’s down from 80% six months ago.